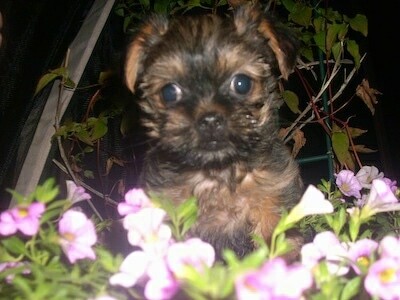 "This is Sophie Lynn, our Griffonshire pup. She is 9 months in this picture. She is a loveable, sweet girl. She is very smart, and was easy to housetrain. We sometimes call her the Energizer bunny because she doesn't want to stop playing! She fits in very well with my kids and is so good with them. They love her very much. Her best friend is her "cousin," an American Bulldog named Raiden. They are quite the pair! LOL. She weighs 14 lbs. and he weighs 100." The Griffonshire is not a purebred dog. 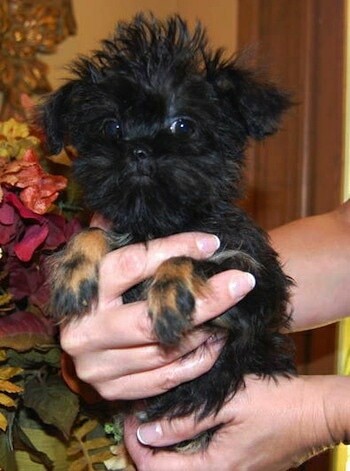 It is a cross between the Brussels Griffon and the Yorkshire Terrier. The best way to determine the temperament of a mixed breed is to look up all breeds in the cross and know you can get any combination of any of the characteristics found in either breed. Not all of these designer hybrid dogs being bred are 50% purebred to 50% purebred. It is very common for breeders to breed -0multi-generation crosses. Macy the Brussels Griffon / Yorkie hybrid (Griffonshire) at 3 months old—"She is very sassy and has the brain of a Yorkie. She enjoys playing with her 3 best friends: Becca, a 7-week-old Pug; Sophie, a 9-week-old Shih-Tzu; and Chloe, a 10-month-old Tabby cat." "I have a really unique hybrid Griffonshire. Her name is Izzabella (Izzy for short). 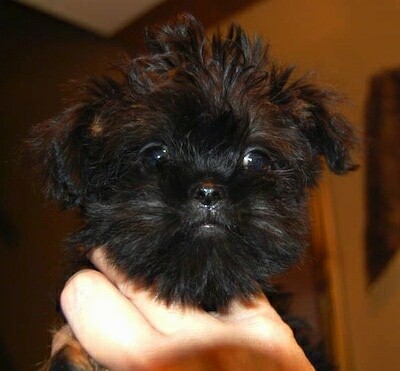 She looks like a mini Chewbacca and Gremlin. She's 2.3 lbs. at 6 months and we expect her to stay small. We can’t take her anywhere without people stopping us to comment on how cute she is. It’s actually amazing. She's very spoiled, and has her own wardrobe closet full of dresses!" 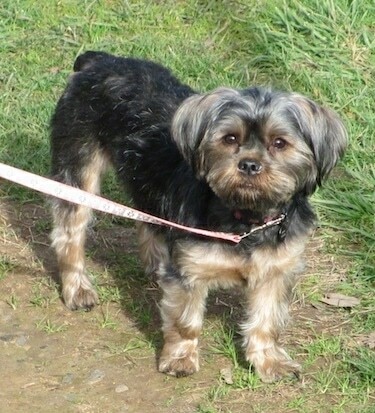 "This is my Griffonshire Gracie; we also call her a Yorkie-ffon. She is 7 weeks old in this pic and less than 2 lbs. Her mommy is a 6-lb. 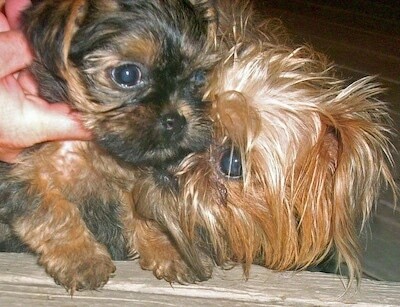 Brussels Griffon, and her daddy is a 2-lb. 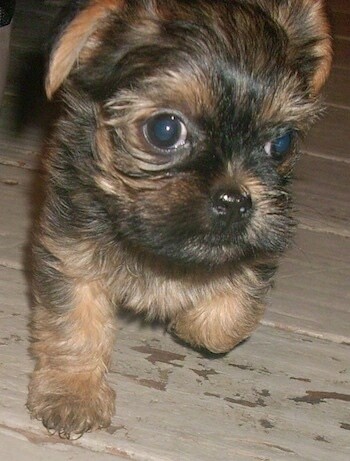 Yorkie. She has bundles of energy and the cutest personality ever."